This quilt has a story... again. A friend of mine did it for her daughter, but as it took her some time, by the time she almost finished it her daughter had become a teenager and did not want anymore pink in her bedroom. So my friend gave this lovely hexagon quilt to me, and I finished it for my own daughter who was still a child at that time. She enjoyed it until she became a teenager and changed as well her color choices for her bedroom. 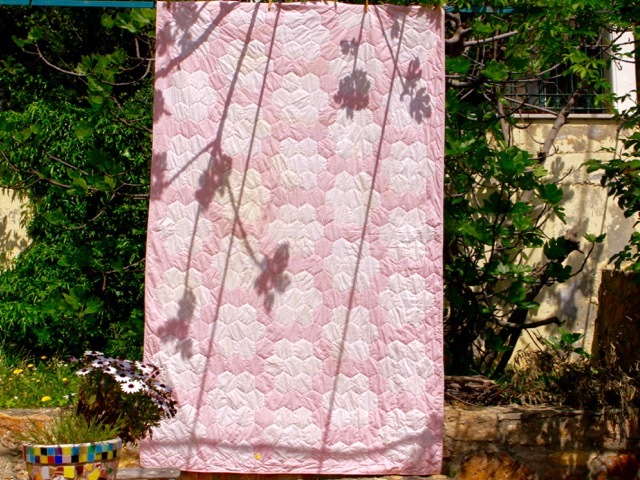 This quilt is hand sewn and hand quilted "in the ditch", it is single bed size. The fabrics are Laura Ashley's. On peut dire que ce quilt à voyagé !! Romantique à souhait avec ses tissus L.Ashley, je suis certaine qu'il a trouvé sa place à présent ! What a lovely pretty quilt Christine. 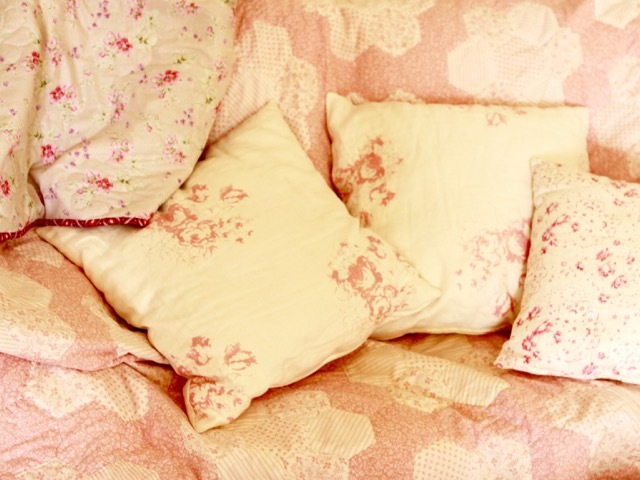 I love the Laura Ashley fabrics. Stunning photos. 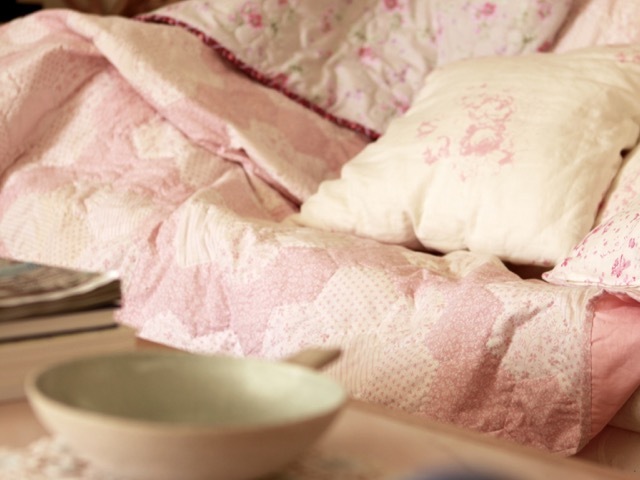 Very pretty in pink - the quilt looks beautiful with those cushions. I agree with Ann, your photos are stunning. 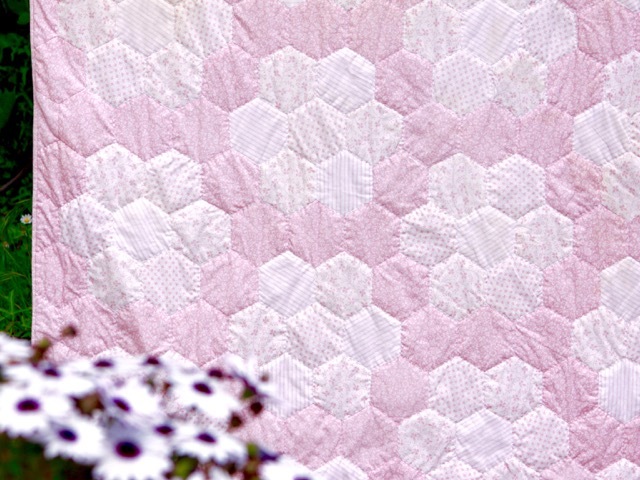 Such a pretty quilt, and a little age makes it even better. Looks beautiful with the cushions. A gorgeous quilt!! Almost vintage looking...LOVE it!! Oh isn't it pretty, it looks so snuggly and very soothing to have around. My daughters would adore it right now (they're 4 and 2) but given the speed with which I quilt I think I'd better steer clear of too much pink! Je dois sûrement être encore une petite fille au fond de moi car je le trouve superbe! Il est superbe! j'assume mon côté "girly"! Very sweet lovely quilt ... fits for al ages :0)) when you still love the quilt !! What a sweet and pretty quilt Christine! 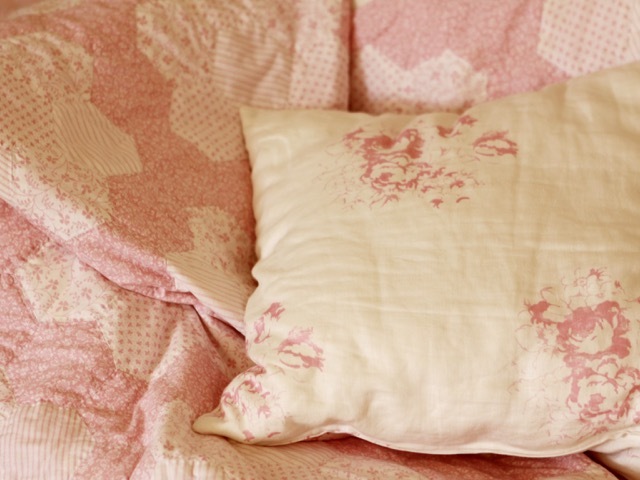 Oh how i remember our love of Laura Ashley fabrics! My niece had her entire bedroom done up in them. 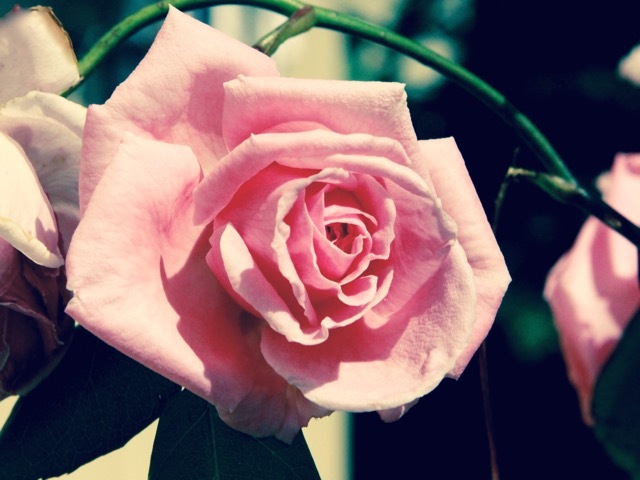 What is the lovely pink flower in the bottom photo? Beautiful quilt, especially displayed so artfully with your cushions and flowers. 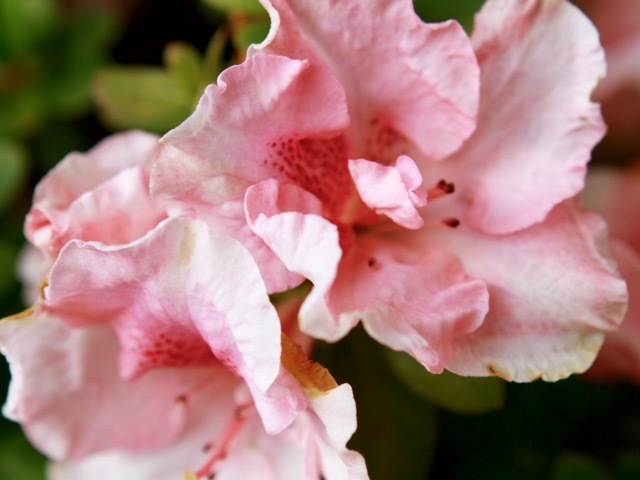 I remember the Laura Ashley fabrics and how I loved them.